Expectations are high for revelations about the “secret” of East-African runners, and they hover over this book as they do over other publication of the topic. Has science finally unveiled the mystery of these athletes? Will this book tell us why these guys are so good at long distance running? Well, in part it will, yes. Especially if you are ready to open your mind, to understand that high altitude has more effect on the runners’ motivation than on their physiology, and to admit that your quest for such “secrets” is part of a misleading belief in their supposed biological otherness. It is important to remind ourselves that so far, and despite decades of research, no study in the life sciences has ever provided evidence of any sort of biological otherness among the populations of Kenya and Ethiopia which produce the best athletes in the world of middle and long distance running. 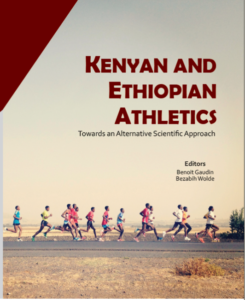 This lack of positive results as failure and should logically – if science were the only dimension at stake – lead to the abandonment of the paradigm based on the biological otherness of East-African, and more broadly of “Black” athletes. Benoit Gaudin is an assistant professor in the Dept. of Sport Science of Université de Versailles St. Quentin, France. 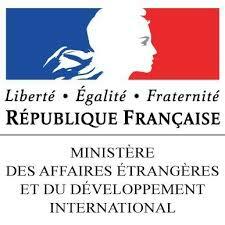 He is a member of the URMIS research unit and currently in secondment for Institut de Recherche (IRD) pour le Développement at Addis Ababa University, Ethiopia. Bezabih Wolde is an associate professor in the Dept. of Sport Science of Addis Ababa University. He is also a board member of the Ethiopian Athletics Federation.